There’s an expression in the restaurant business: You have to own the bricks. The saying is meant to express that to run a successful eatery you can’t be leasing the space you’re in. As soon as your landlord sees people lining up he can raise the rent, and suddenly it’s not as much fun as it used to be. The same principle applies when building your website. It’s a given that your site should be built on a content management system allowing you to make updates yourself. But what if you need something more substantial done to your site? What if – God forbid – your website takes off and has to be more sophisticated to meet your growing needs? Well, you have to own the bricks. 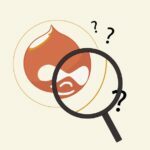 If you’ve done your homework while shopping a redesign you’ve probably come across Drupal. 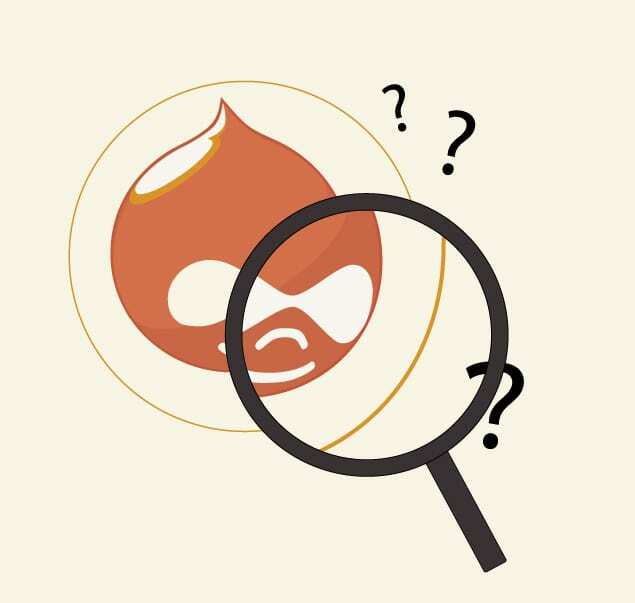 Drupal is an open source content management system that offers several off-the-shelf features such as ecommerce, blogs, user accounts, and just about anything else you’ve seen online. And the best part; it’s free*. In this case, “free” means the platform is available to download and install to anyone who wishes to do so. There are no licensing fees, no upfront costs. Thousands of plugin modules are available to install and extend the functionality of your site, giving future development a head start. By simply installing Drupal it’s as though you’ve had an army of developers working on your site for over a million hours. What “free” doesn’t mean is a magic bullet. As Barrett details in his comparison of content management systems, a professionally designed and built Drupal site can still be an expensive proposition. No content management system is going to offer a solution that looks and functions exactly as you need it on day one. The advantage is once your site is built you maintain control over it and the platform it’s built upon. Since Drupal is open-source no one can claim ownership of it; you can host it where you want, bid out future work to other firms or contractors, and dig into the code yourself to become more self-reliant. That’s generally not true with a proprietary CMS. And that brings us back to the whole “brick owning” analogy. Now that your thinking has changed from “Should I use Drupal?” to “Why wouldn’t I?,” there are a few caveats to the upside. Drupal is hard. It just is. In comparison to WordPress, another major open-source CMS, the learning curve for building and administering a site in Drupal is much steeper. I recently attended a Drupal conference where I chatted with an IBM rep about how even his career programmers can take several months to learn its conventions. So while the freedom that Drupal web design provides may be comforting, it can also be deceiving. There are a lot of ways to do it wrong. That inherent complexity, however, is also central to Drupal’s success. The conference was sponsored by Acquia, Drupal’s organizing body (and from whom I’m borrowing the restaurant analogy), who presented compelling statistics in the growth of online business and the corresponding focus on the Drupal ecommerce platform, both in usage and development. Virtually everything necessary for an online store is built-in and configurable – and the code and interface is consequently complex. Ideally you find a company you’re comfortable with and establish a working relationship. 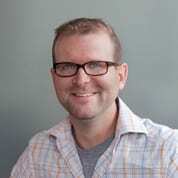 Andy has some tips on how to choose a web design company to help you . You’ll save time by working with a group of people who know your business and avoid the complications that can come with integrating code from multiple places. But you’ll know that at the end of the day what they’re working on is ultimately controlled by you. What makes Drupal a better CMS if the learning curve is steeper over WordPress? Using WordPress or another open source CMS such as Joomla or Magento you still “own the bricks”. Do not all offer similar functionality and options? For an average small business owner, wouldn’t the easier CMS be better to use? Thinking for someone who wants to add/update content & pictures, add a promotion to website. Interested to hear your thoughts. @scottnobleNS Hi Scott. Thanks for reading. Yes, for a small business owner choosing the most user-friendly CMS is certainly a sensible course of action. Using WordPress or something similar can allow you to build a web presence and keep it current through content updates, photos, etc. However, should your small brochure site need to turn into something else (e.g. you want to sell your product online, you want to restrict content to certain user groups), the administration of the site will no longer be as simple. In other words, the fancier your site the more you’ll have to know how to do on the back end. Drupal comes with a lot of functionality built into the default installation. A lot of you may never need, so you may find yourself dealing with options and menus that are just in the way. WordPress – at least in my limited experience with it – is meant to be a blog first and extended from there. It’s more tailored to the novice user. So the decision comes down to what you need your website to do with an eye on what you may need it to do one year, two years, five years down the road. You may find you’re better off starting out with something more complex, mastering it, and thus making future enhancements easier. If you don’t expect to go beyond a site that provides basic information with little to no interaction, then WordPress makes a lot of sense. As for Joomla and Magento, I’m only aware of what they are and that they are comparable systems to Drupal. If you’re shopping a website they’re certainly worth researching. Hello ben … Nice input here. I would like a piece of advice. I would like to have a site that shares free informartion but also sells products … What do you reecommend … Could wordpress cut it? Great article Ben! Another example where ownership of your CMS might come in handy: if you are a start up company planning on adding and changing functionality to your site on a consistent basis, you may want the option to hire on your own in-house Drupal developer for on-going development. Nice Article Ben! How does picking a CMS relate to selecting a web development partner? In other words, assuming that a company is going to hire a web developer, what is your recommendation on when and how to pick a CMS? @gettelfinger Well, to the point in the last paragraph, it depends on your level of comfort with the company doing the work. There’s nothing wrong with going with a proprietary CMS. If the company doing the work is stable and you expect to work with them on a long-term basis it might be more practical. If it’s a freelancer who may not be available after a good job offer comes along, then you’ll want to be able to pass the torch to someone else. One important correction: Acquia is NOT “Drupal’s organizing body.” They are an enterprise-level shop with lots of big names, but Drupal is still very much community-driven. I’m not sure if this post meant to reference the Drupal Association, which supports the community by supporting infrastructure of Drupal.org as well as many other initiatives — though I’m not sure “organizing body” would be a correct label there either. One thing about us Drupalers — the community is a huge part of what we are, so we want to make sure people get it right! @LyticalDesign Thanks for the clarification, Lytical.